“Come on man, I’m trying to be the best receiver on this team and you’re talking about the best player in the country.” the youth responded. It is quite often that I see more in my client than they see in themselves. Life has a way of “chipping away” at our dreams. Stress, being immersed into day to day life and lack of vision moves us into a state of living life in a stream of consciousness. Simply, our belief systems move us into a comfort and mediocrity when we are NOT being challenged. When was the last time YOU were “On Top of YOUR Game”? YOU felt everything was moving in slow motion and excited to get out of bed in the morning. YOU were in a Groove! You CAN return to that state and a coach can help you get there. The most important step for YOU to take is for YOU to resolve four things…1. DESIRE…. YOU must have a burning Desire to go to the NEXT LEVEL….. 2. COMMITMENT …. YOU MUST be 100% Committed to do the uncomfortable …. 3. HUMILITY …. Don’t believe the BS YOU have created to validate your comfort ….4. DECISIVENESS … Act with Conviction that Growth is YOUR Purpose and begin the journey. Former Notre Dame Heisman Trophy winner Tim Brown says if it weren’t for a former coach, he may not have wound up in Pro Football Hall of Fame. 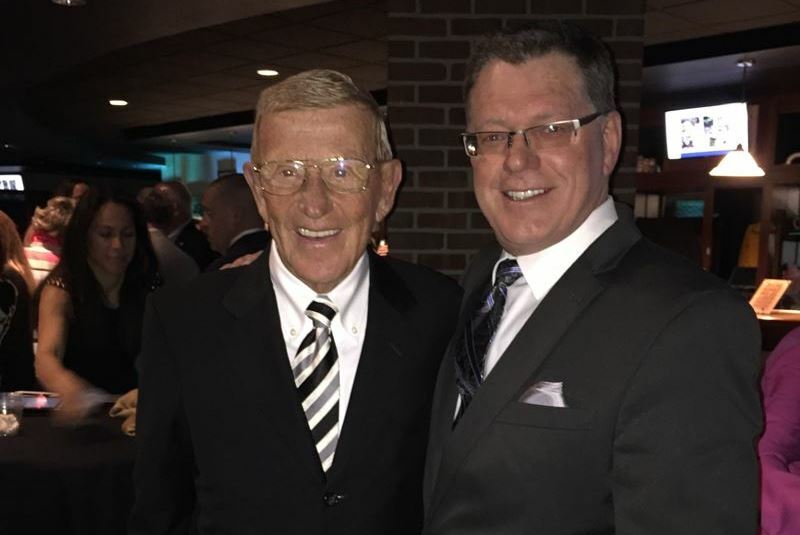 “Everything I was able to accomplish in college and the NFL, it probably was because of [Coach Holtz],” said Brown, who was elected into the 2015 Hall of Fame Class. When Brown started his college career at Notre Dame he was a good player. However, it wasn’t until Lou Holtz took the head coaching job with the Fighting Irish that Brown became a great player. Sure enough, Holtz was right. By his senior season, Brown became the best player in all of college football and went on to win the 1987 Heisman Trophy. “The power of [Coach Holtz] positive words just really sunk in,” said Brown. The rest is history. After leaving Notre Dame was selected by the Raiders in the first round of the 1988 NFL draft. By the end of his career in Oakland, he finished with the second most receiving yards in league history and third most touchdowns. On August 9th 2015 Tim Brown’s illustrious career was finally acknowledged when he was enshrined into the Pro Football Hall of Fame, after a five year wait. A career that all started, thanks to a head coach, who Brown was more than just a good player. A great coach will have that kind of IMPACT on YOUR belief. #Lock-N-Load and get ready to #GoDoGreatThings!